It is good to be able to read and talk about sport. This ESL sport reading passage will let you use the sport vocabulary you have learnt so you will improve your English level. When you read and understand the comprehension passage on this page you will get valuable practice at using ESL sport vocabulary. This will mean that you will learn the vocabulary better as you will have to be able to use it. 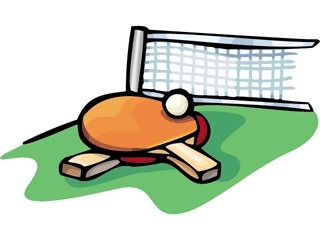 If there are any words you do not understand in this ESL sport reading passage you can look at the ESL sport vocabulary page to find the meanings. After the passage there are some questions that you should answer to see if you understand what you have read. When you have finished click on the get score button to see the correct answers. There are many different kinds of sports that are undertaken by a wide variety of different people. Some people do sport for their career and other people purely do sport for enjoyment and recreation. Some sports, like cricket, require the use of a lot of equipment, while others need very little in order to successfully play a game in that sport. Some people use public playing fields to play sport for free, while other sports such as squash, tennis, badminton and table tennis are usually paid for on an hourly basis in the comfort of a local leisure centre. Most sports are played with a round object often known as a ball. Some sports use more than one ball and snooker is one of the unique sports that make use of a number of balls while being played. The game itself is often controlled by an impartial individual known as an umpire in cricket and a referee in sports like football and rugby. Most sports have a duration of not more than a few hours, however some athletic tournaments can last for up to a week and a game of cricket can be five days in duration before a winner is announced. Some people prefer to watch sport. This can either be done by going to a stadium, a local leisure centre, park or on the television. It is often cheaper to watch sport from the comfort of a person’s home than to visit the stadium or a special event. Some sports, such as football and cricket, are really popular in the United Kingdom but not in the USA. In the USA people often play basketball and baseball. However, most countries put aside time to compete in world sporting events such as the football world cup or the Olympics, which occur every four years. Nowadays, people who suffer from any kind of disability are also encouraged to participate in sport and most sport equipment is adapted to suit the needs of a disabled person. This means sport is something that can be enjoyed no matter the physical ability of the person. The para-olympics takes place a week after the main event and it is equally popular. Participation in sporting activity is encouraged by doctors and at schools given the beneficial impact it has on the health of the individual that participates, and it is for this reason and the competitive nature of individuals that sport remains a very popular activity worldwide. 1) Which sport requires the use of a lot of equipment? 2) What sport is popular in the United Kingdom? 3) What sport is popular in the United States? 4) What sport can last longer than a day in duration? 5) How often is the Olympics held?